← I Feel Pretty. Oh. So. Pretty. Yes, to be sure this is opening a big old hole in your security, but it’s a precise hole, for a given purpose. And it’s a controlled hole, because you can shut it down anytime you want. Plus, of course, you don’t have to advertise the new temporary URL. Now the Internet has a tunnel to your local webserver. When someone requests http://a69d3d5b.ngrok.io, they’ll get your localhost content. Moreover, the requests will be shown on your dashboard. Now, as requests come in, ngrok rewrites the request to ask for raphael.dev. I should probably mention one small fly in the ointment at this point. Every time you invoke ngrok, it’s going to generate a new, random alphanumeric subdomain name. For instance, the new one for the raphel.dev rewrite is http://a0a7c5c6.ngrok.io. This isn’t a huge bother until you need to specify it to an external service, as we discussed at the beginning of this post, or shared it with a friend or customer. It’ll still work, of course; but each time you rerun ngrok, you’ll need to go change it on the external service, or share it again. And for that same subscription fee I could reserve any number of subdomains. So, when I specify my ngrok URL to an external service, it’s not going to be changing every time I want to reboot my machine. Brilliant! Very good. We’ve got a tunnel to our local dev environment. But what if our dev environment is in a Virtual Machine, inside our local machine? No problem-o. You’ve already setup your hosts file in your host machine to point to the guest machine’s IP address, so you’re good to go. 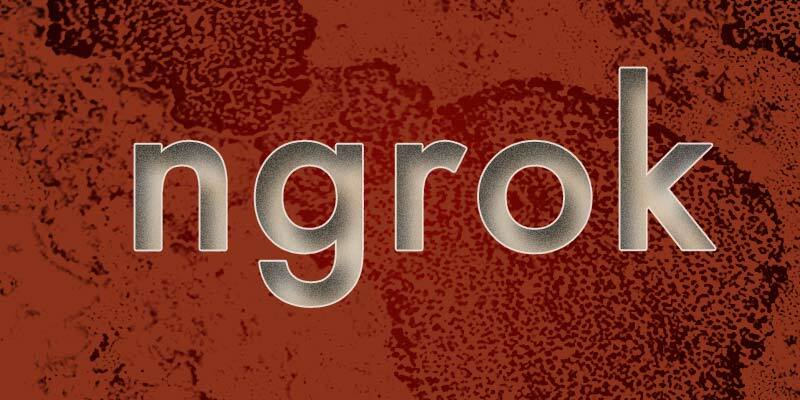 Invoke ngrok as usual from the host machine, and it will rewrite the ngrok.io request to your mydomain.dev; which will then be picked up by your hosts file, and marshalled through to your VM. In fact, there are a couple of WordPress plugins (if you’re using WordPress) which do this for you: Relative URL, and Root Relative URL’s. The second one has over 50K installs, but hasn’t been updated in a couple of years, so I used the first one. Well, just one more, and it’ll bite you right in your WordPress back-end. The problem is when you want to reach your WP Admin page, there’s a redirect happening. But the redirect is to your mydomain.dev, which gets pushed to your browser, and again, the browser doesn’t know squat about mydomain.dev. Happily, there’s a solution for this one as well. But first, let me mention that Alan Shreve, the outstanding developer who came up with ngrok, has been unflagging in his support, helping me get through every one of these hurdles. Also, when I described the redirection issue, he explained that the redirect response is passed on to the requesting client. But ngrok isn’t translating the response’s redirection URL. If it did, this would have worked at this point. So he’s planning on adding 301 and 302 rewriting to the app. Restart Apache in your guest VM. Of course, once you’v done that, you don’t need the relative URL plugins anymore. But it’s a journey. Be sure to test thoroughly. Of course, in the case of webhooks, chances are you won’t run into redirects. But in case you do, this would cover you. Now go forth and use external services with wild abandon! This entry was posted in code, weekend sysadmin, wordpress and tagged devops, linux, ngrok, web development, web development tools, WordPress. Bookmark the permalink. This was so helpful. I’d been working on getting this going for hours. And your comments finally pulled it together. I am tunnelling wordpress multisite in circle ci to run ghost inspector tests. I gave up on relative urls and finally just converted the entire site, apache alias and all. Glad it was useful to you, Deryk.